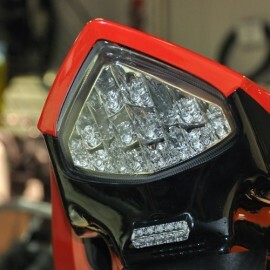 Lamps and bulbs for CB1000R. Lamps and bulbs There are 3 products. 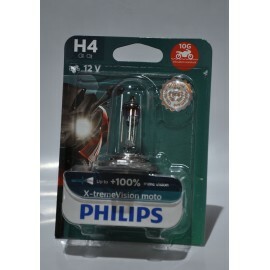 H4 12V 60/55W Light. Up to 100% of the light additional compared to a standard lamp. Philips advanced technology ensures maximum performance with an intense white light where you need it most. LED rear lights with integrated turn signals for your CB1000R. This part is homologated as a light but not as signals : you have to keep other turn signals to be "legit". Ventilated LED headlight. More intense lighting (pure white) and last approximately 40 times longer than a standard halogen bulb. LED offers 100% capacity in less than a tenth of a second, while reducing power consumption.